Singer Island offers seven miles of amazing beaches, resort hotels and shopping. Singer Island is a barrier Island surrounded by the Intracoastal waterway and Little Lake Worth to the west and the Atlantic to the east. To the south is the Palm Beach Inlet and the cities of West Palm Beach and Palm Beach. The northern tip of the Island is occupied by John D. MacArthur State park the features nature trails, snorkeling, Kayaking and paddle boarding. There are a number of single family home communities that provide easy access to the beach as well as deep water dockage. 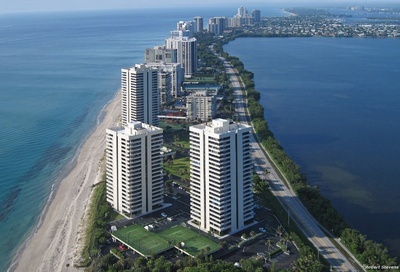 Search below for Singer Island Condos. Click here for Singer Island Homes.